Rafi is fourteen years old, on the verge of legal adulthood as a Homesteader on Cygnus B, and a student at the Lyceum, a school for the psionically gifted. Unfortunately, on Cygnus, psionic powers are mostly feared, and the Lyceum is as much about keeping the students from becoming dangerous as it is about teaching them to use their powers well. Rafi, with powers that will enable him to help people or to control them, is not being helped by the school's treatment of him; instead, he's having nightmares and feeling less and less secure. Fellow students Ntenman and Serendipity are communities that do support psi powers, and are a little more protected, but have their own reasons for wanting to leave. So Rafi does, using his powers to help him slip out, and heads first to his mother's home, and then to his aunt's. Serendipity and Ntenman soon follow. It's not long before all three are off Cygnus, on another world, faced with new challenges and about to experience violent political change. Lord has built an interesting galaxy. There aren't any nonhuman intelligences mentioned, but humans have dispersed and diverged a bit--one of those divergences being the differences in how common psionic abilities are in different populations. 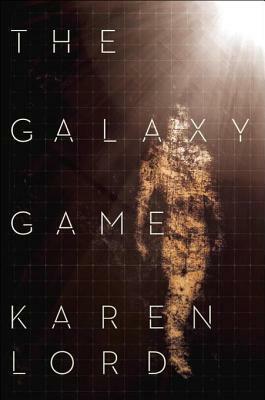 It's also a galaxy that, in the not too distant past, experienced a galactic war that wiped out life on one planet, forcing the survivors of one of the most psi-capable populations to resettle elsewhere--with strong tensions between those intent on rebuilding what they once had, and those intent on building new lives in the worlds they live on now. We see Rafi, Ntenman, and Serendipity faced with real challenges to how they view the world. Rafi has to learn to embrace powers he's feared, initially in the context of "just a game," the popular wallrunning game that involves vertical surfaces and widely different gravitational levels on different parts of the wall. Serendipity is challenged in her ideas of community, and Ntenman finds his skills and opportunities leading him in exactly the direction he didn't want to go: helping to advance his father's business. Lord does a great job of showing us all of these characters growing, changing, and struggling with what their world is doing around them. The political situation is also developed with subtlety and nuance, and grounded in the plausibly real motivations of the different individuals and groups involved. The narrator, Robin Miles, also does a great job with the different voices. It's a wonderful book, and highly recommended.